At Drainline, Blocked Drains and Pipe Relining are our business! We understand that when you have a blocked drain, you are at your wits end and over time you have probably tried a variety of ways to solve your problem – some may even have worked for a while but others didn’t ultimately the problem returns. As you may already know, blockages in drainage pipes, toilet sewer lines and stormwater drains are an unpleasant fact of life, and usually strike us at the worst possible times! Get in touch with one of our experts today - you'll see the difference with a system that works the First Time, Every Time. 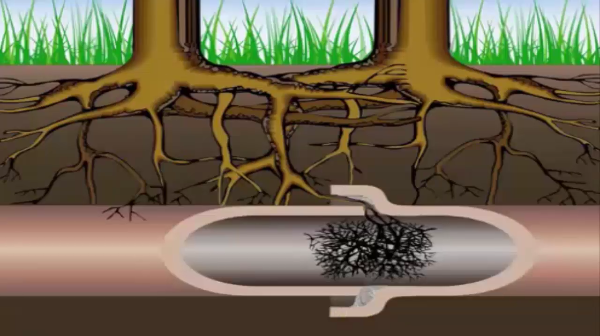 "I recently had the guys from Drainline reline a broken pipe bend under the ensuite bathroom toilet in my house that was constantly blocking up due to tree roots getting in. I had been told by more than one plumber that my only option to fix this would be to cut up the floor in my bathroom and dig down and fix it the old fashioned way, but then I found Drainline , the guys relined the broken section of pipe in just a few hours without digging or making a mess, I am very happy with the result and would recommend relining with Drainline to everyone with similar problems"
Keith Duffield - Leopold Vic. Our relining system is designed to repair pipes below a surface you don’t want to demolish. This easily takes care of stormwater drainage pipes, blocked drains, blocked sewage pipes and leaking pipes without the hassle of pipe excavation. This technology provides fast, efficient service that you can rely on and results in a less expensive No Dig, No Mess repair, that leaves the property as it was found, minus the problem!